On August 5, Florin Church of the Brethren, at the top of Florin Hill in Mount Joy, welcomed Thomas Weber to be their Pastor. Pastor Weber received his Master of Divinity from Myerstown Evangelical Seminary in 2002, served as Youth Minister to West Green Tree Church of the Brethren for 4 years, and then spent 17 years at Akron Church of the Brethren as their Senior Pastor. He was born and raised in Mount Joy, so he and his wife Sandy are anxious to return to their roots. 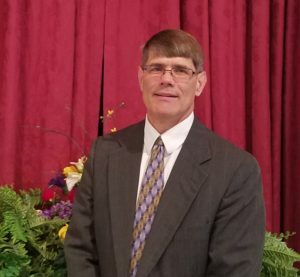 Pastor Weber initially attended college to become a teacher and says even today, “I love to teach.” He adds, “Studying for teaching and preaching is an exciting time for me. I find myself getting lost in the joy of the study; it draws me closer to the Lord.” In terms of leadership, he cites, “As a church minister, I am called to work with others to determine God’s direction for the good of the body of believers. I believe God has a plan for every congregation to bring glory to Him, to be light in the world. As a minister I am called to help the congregation as a whole, unraveling what God desires and to participate in God’s plan.” He identifies himself as an encourager, to help people grow in their faith and discover their own testimony of God moving in their life. Tom and Sandy are proud parents of the 3 adult sons and their families – Luke and Ashley live in Lancaster, Aaron and Paige live in Landisville, and Jacob lives in Philadelphia. They also have 2 very loved grandchildren. 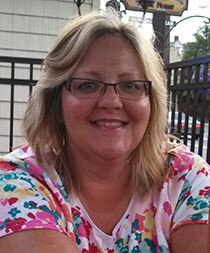 Jodi was born and raised in Lancaster County and has been living in Mount Joy since 1993. The majority of her career has been in the retail and healthcare industries till she joined the Florin family in 2013. Outside of work she enjoys time with her daughter Tiffany age 24 and her husband David ,nature, homemaking, crafting, her Shih-poo Rylee, wildlife, spending time at the cabin near Lake Raystown , dining out, listening to audiobooks for relaxation, increasing biblical knowledge, and spending time with family, friends and their children. She is also enjoys being a Mary Kay Independent Beauty Consultant since 2011.